Bee's Circus: 481. 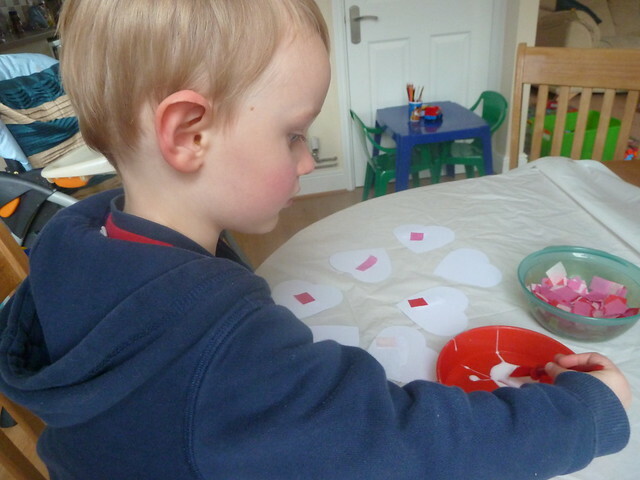 Valentines Crafting, with a toddler. 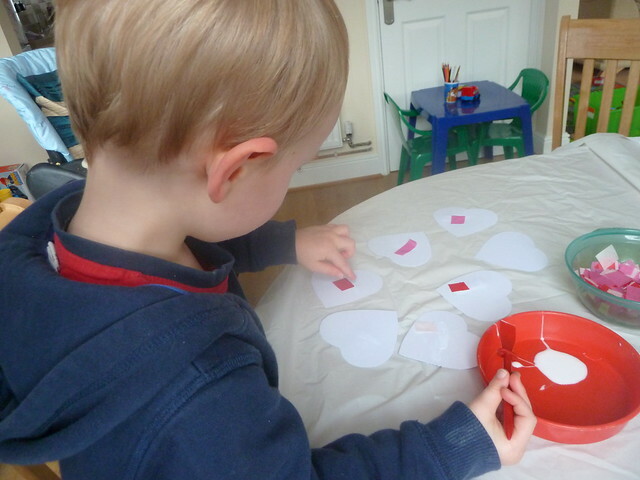 A quick, and easy, Valentines craft for toddlers. 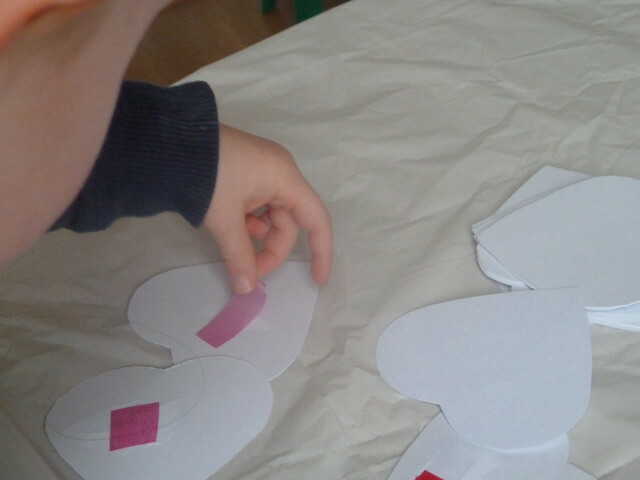 I used a heart cookie-cutter to draw the shape onto white card, and cut them out. 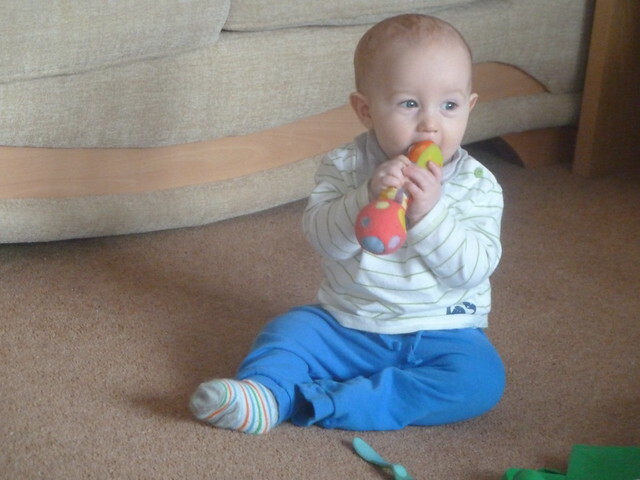 Daniel sat beside me and did some cutting of his own - his new favourite thing. 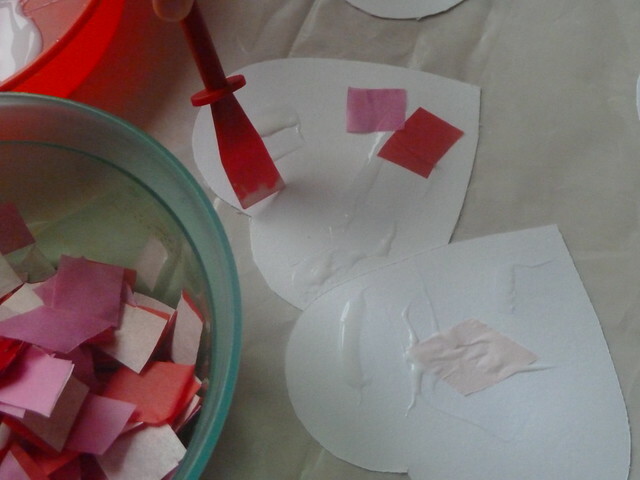 I also cut up some tissue paper, pink and red of course! 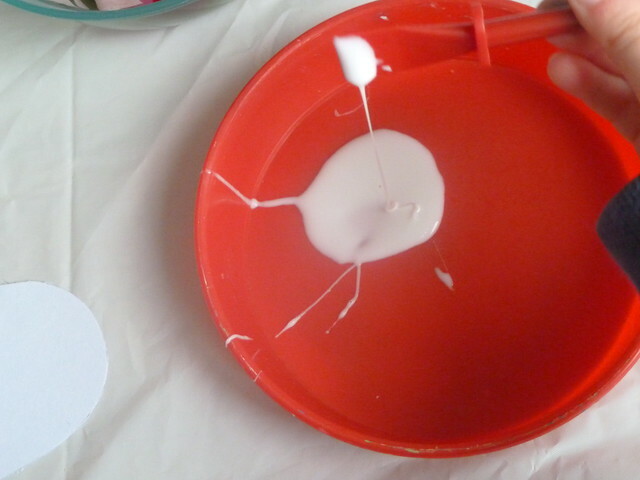 I poured out some glue, and let Daniel go to town. I had to gently remind him that we don't use too much glue, and that we put the tissue paper on top, but he did pretty well by himself. 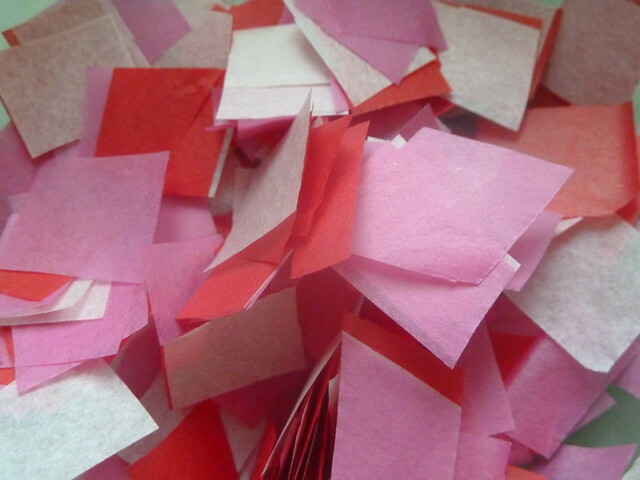 This kept him entertained for about 20 minutes, and we plan on writing on the back and posting them to the people he loves. 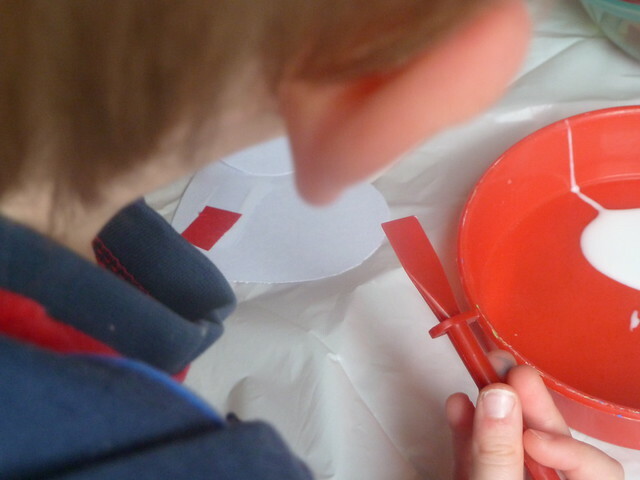 We've also done this same activity with paints, and I even did Joshua's handprints on some - I only got two good ones but they're so cute! So cute, i love the idea of sending them to people he loves.